WORK & STUDY PROGRAM: Learn while you earn. This unique program gives an opportunity for those passionate dancers who want to train intensively and earn their living at the same time. 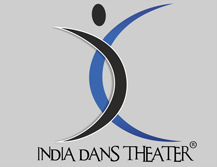 Selected dancers need to work minimum 6 hours a day in the office, studios or where ever required in India Dans Theater premises. There is a discounted fee for classes while dancers get paid for their work. This program has age limit which varies from 18 - 28 years old. The selection happens through an interview and audition if required.